StubbsGazette is a complete solution that enables you to manage your debt, credit, and compliance requirements saving you time and money and boosting your bottom line. Our clients have decreased their debt by 47% in 19 days by using our debt management services. When should I send an Urgent Demand and Final Demand letter? The StubbsGazette approach to debt collection is to escalate the prospective sanctions on the debtor until payment is received. The first step is to send an Urgent Demand letter (view sample letter). This puts the debtor on notice and advises them to contact you directly within 5 days. 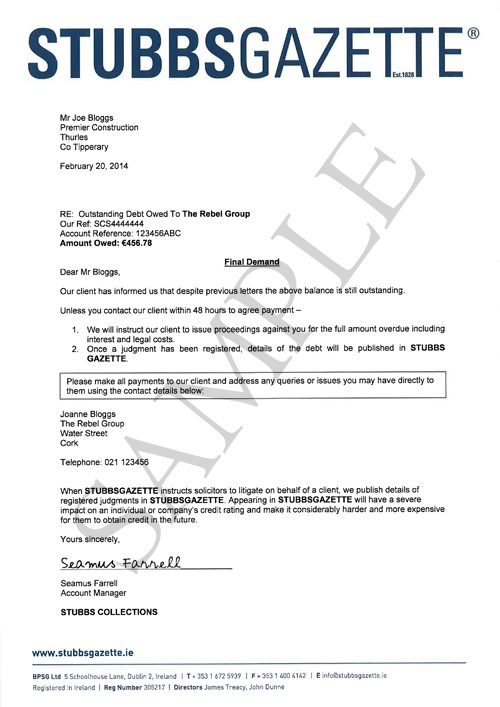 If the debtor fails to respond the second step is to follow up with a Final Demand letter (view sample letter). 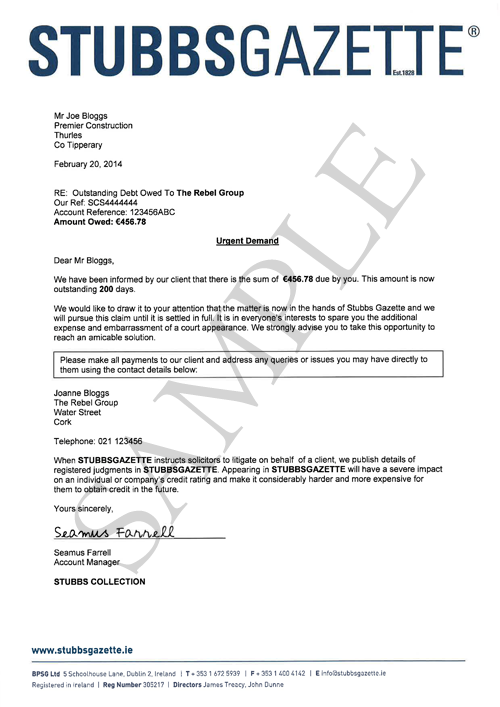 This letter forewarns your debtor that in the event of failing to respond to you within 48 hours, the debt may be escalated to StubbsGazette's debt collection team, with the possibility of legal proceedings, court judgment and publication in StubbsGazette.